Our economy is on the move, fueled by revolutions in energy, immigration, innovation, big data, and advanced manufacturing. America's energy independence has set off shockwaves. Just as important are the social transformations that are making the country ever more racially and culturally diverse, younger, and a home to immigrants. While most other countries struggle profoundly with immigration and religious and racial differences, America is on a path to multicultural identity. These revolutions in the economy, society, and culture are also producing an American majority that embraces new values and new politics. Republicans are waging a counter-revolution, which is why America appears, at first glance, to be gridlocked and why the country is turning to Democrats to take on the country's growing challenges. 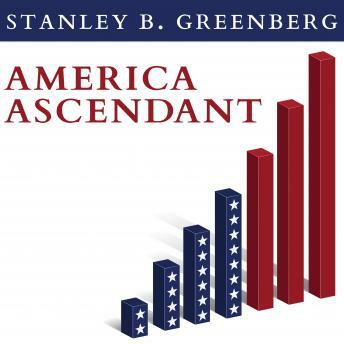 In this incisive book, expert strategist Stanley B. Greenberg draws on years of research and polling to illuminate how America is far from being gridlocked, and he articulates a powerful vision of how American politics and America can be renewed.